It was about this time last year that I was shooting the last few scenes for Episode 8: Flipside. Wenley, of Mean Machines Customs, had recently finished his killer custom 2008 Triumph Bonneville, the "Mad Max", and was already getting attention from all over the world. While shooting video for Wenley's episode, I was also photographing for stills to be featured on BikeEXIF. 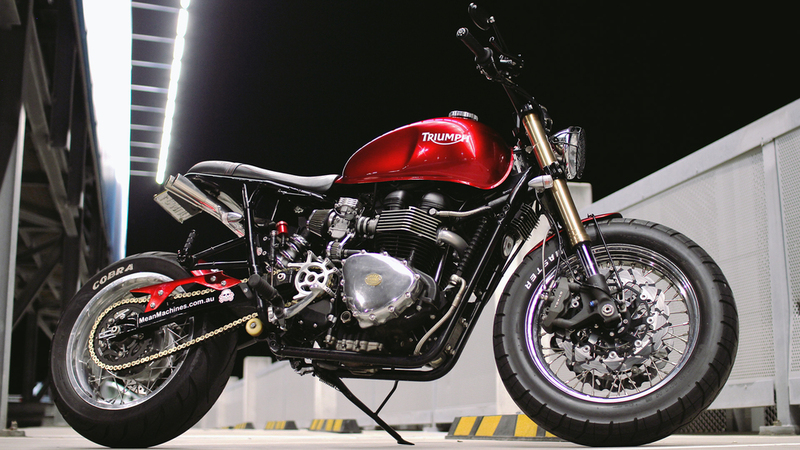 The bike, which Wenley dubs as his "monster truck bike", was then featured in the BikeEXIF "Top Five Triumph Bonneville Customs". These stills were then later included in the coveted BikeEXIF calendar. Since releasing the episode, Wenley has gone on to follow his passion. He was since left the IT industry and set-up his own custom garage in Perth with the help of a passionate investor. Wenley now works full time doing what he loves; making some of the best Triumph customs the world has seen. When shooting the episode, one I was quite taken aback by Wenley's openness and honesty about the reasons why he rides. 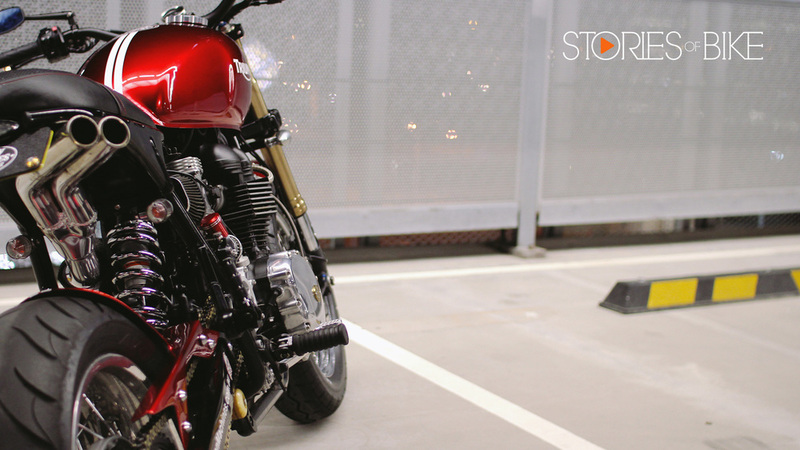 To meet him, he comes across as a confident guy, assured of his talent and skill in building custom bikes. However, during the interview he showed a vulnerability that most people could relate to; of not being seen, not being noticed. He told how the reason he rode Mad Max, wearing the iconic Simson Bandit helmet, was so that he could be seen. It was this revelation which lead to the title of the episode, "Flipside".